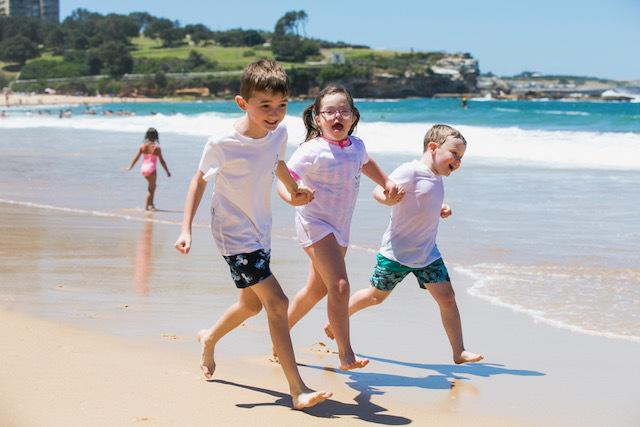 Autism Swim is structured as a social enterprise. Social Enterprises are quite a new concept in Australia, however they are dramatically on the rise. There are an estimated 20,000 social enterprise in Australia, with the number increasing rapidly. When Autism Swim was established, we were advised by many to avoid the charity route; mainly due to the ongoing costs and requirements involved. In a sense, “You’ll end up spending all of your money and time on adhering to the charity stipulations, whereas instead, that money could go toward actually developing your service further and offering more value to your customers, and in turn, those who need your support”. What do we know about those who give? The causes most favoured by Australian givers are religion, international, then health. Only 33% of Australian taxpayers make a donation to charity and claim a deduction. The Police force is the occupation with the highest percentage of donors. While the Australian Taxation Office (ATO) reports total claims of $2.9 billion, Giving Australia, using a survey and a wider definition of gift, reports a total of $11.2 billion. Women are more likely to give, volunteer and take part in Workplace Giving than men. Women also give a higher proportion of their income than men. This is despite the fact women earn 15% less than men. Did you know that only 4.7% of employees participate in workplace giving? How can I help Autism Swim? Our mission is very clear, and our job is a huge one. We know it takes a village, and we welcome in any help we can in reaching our mission – be it monetary, time, skills etc. Can I still donate to you? Absolutely. As you now know, social enterprises can accept donations and grants on top of their business revenue. You can donate here. I own a company and would like to donate to you but you don’t have DGR status. Great! Let’s partner instead. Therefore you receive benefits as well.We already have a range of product and service partners and sponsors, and are now looking for corporate partners. Can my organisation volunteer hours? Most certainly. We are staffed largely by volunteers, with many organisations choosing their staff volunteering initiatives to be with Autism Swim. This can be through skilled or unskilled labour (e.g. you may have expertise in a certain area which you can give us, or you may like to simply offer your time with anything at all that needs doing). Did you know 4 out of 5 Australian charities employ volunteers and half employ no paid staff at all? Volunteering is such a pivotal element of any successful charity or social enterprise. I’d like to organise a fundraiser for Autism Swim. Is that doable? I have some other ideas for how I can help. Who do I chat with? Email Autism Swim’s Founder/Erika Gleeson to brainstorm any ideas you have. We’d love to hear from you.